Actually, they have been here a couple of weeks now, and what an exciting 2 weeks it has been! So what’s the plan? Right now we are working on building the hype and promoting the watch. If you are a member of some of the watch collector Facebook groups, you should see it popping up occasionally. Please help us by commenting and liking our posts to keep it at the top of the pile. Also, give us your feedback on the design. We would love to hear what you think. We have already received a few bits of feedback that may have an influence on the final design. We’ve still got a few photos to take. Last weekend we hired some military gear from the army surplus store and had a lot of fun setting up the scene. It really looks the part with the desert style shemagh and the Australian desert camo helmet. Once the photos are finalised, we’ll be sending a few watches to various bloggers in the US and UK. If there are watch collecting get-togethers at the time they are over, then I will try to arrange the Kalahari to make an appearance. So I bet you are all wondering how much this beauty is going to cost, and when can you get your hands on it? 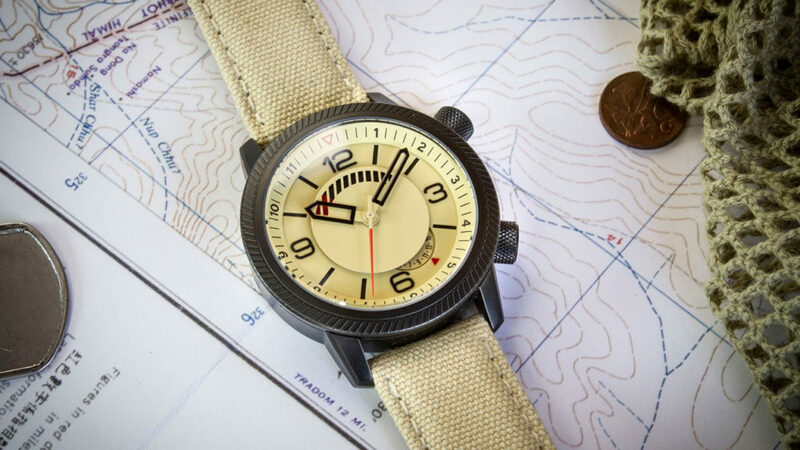 The Kalahari will be launching on Kickstarter in July for an early bird price in the region of $450. Stay tuned to our media channels to get more up to date information. I am one of your customers – I am sure you remember. I really love my Draken watch and am eagerly awaiting the arrival of the Peregrine. I don’t know whether I have mentioned this before, but I believe the sharpness of the edges on the Tugela were a little distraction when handling the watch. Visually they were great, but from a tactile perception they were too sharp. you will be aghast at what I did, but I took a very blunt diamond file to ‘defuse’ the points on the bezel and both the edges and points on the lugs. because of the tapering outwards of the bezel, the look of which is quite unique, I quite often found myself hearing the scratching sound when reaching around for things, especially inside my car. Consequently I have probably the only modified Tugela in the world! So I suggest, and take no offence, that there could be an improvement in the tactile feel of that watch whilst keeping the form intact. You have surely whetted my appetite for the Kalahari. what would it take to secure the 001? Regards the serial number 001 – I usually reserve that number for my father. We don’t offer special requests for serial numbers, but I can guarantee that the Kalahari will be very limited, max 390 pieces. Looking forward to the KS campaign! Absolutely love the design! Thank you! Really appreciate your support. Hi Mike, I’m also a customer and already have the first watch you produced. I think this one looks great but the price point is a little challenging, and the campaign might stall like the previous one. I wish you all the success but I do wish you would reconsider the price. Hi Firas. Thanks for your support. We are still reviewing the launch price for the Kalahari. We may possibly look at doing free shipping. Stay tuned! Draken has not been on my radar before, but that cream dial Kalahari looks great and right up my street. 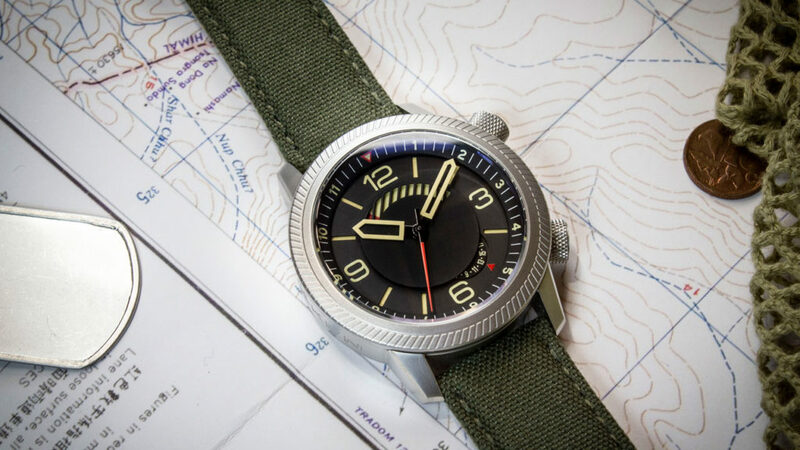 Looking forward to the start of the campaign, this could be my first Kickstarter watch. I think the kalahari looks pretty cool. I purchased the peregrine from the is campaign and am looking forward to receiving same. Probably order kalahari as well. Can you be sure I receive emails etc. Hey John. You are definitely on the mailing list. Thanks so much for your support! The Peregrines will be complete on the 15th. We hope to ship them all before month end. Hi, terrific looking watch, nice job! Definitely one local kiwi watch lover is waiting with impatience! Cheers! Hey George! Thanks for your support mate. Where are you based? Keen to find out how you heard about us. Hi Mike, I’m in Nelson. I like mechanical watches and generally all things mechanical. I’ve started my passion for watches relatively recently couple years ago. I like “old” well known brands names – usually dreaming about considering the price tag, but I’m also fan of micro brands – some of their products are really interesting and relatively affordable. Few weeks ago I was browsing on the internet and I came across website microbrandwatchworld.com and going through the older entries I found your brand. So since that time to time I’ve been looking at your website and last week wow! – I fell in love with the Kalahari at first sight! So I’m waiting eagerly. Good job and wish you good luck in your future effort, mate! Hi George. Thanks so much for your interest. There are some wonderful mechanical watches out there. It is a truly addictive hobby! We will keep you updated via email about the upcoming launch of the Kalahari. All the best. Stumbled upon your site and really like the look of the Kalahari. An unusual but attractive watch with some really nice features. Very hard to find watches with a 12 hr bezel for tracking a 2nd time zone these days. I will be looking forward to the launch on Kickstarter. On the black dial version, will the numbers on the internal bezel be lumed? I think this is an important feature for tracking the second time zone in low-light conditions. Hey Mike, Jerry here in Boise. As much as I’m loving my Tugela, I have to admit the Kalahari is growing on me. Those protos look fabulous! But which color??? The Tugela was an easy choice in black because I wanted a black diver style, but both of those look great. The lume pic of the champagne/cream dial makes me swoon, but I’m tough on bezels and am better served with stainless. What are you calling that color, anyway? Yeah, it’s the cream dial for me, regardless. Gloria likes it, too, big plus. The Tugela bezel is great and adds to the geometric asthetics of the lotus flower, but yes the points are pointy. They are sharp enough to damage wood trim, I’ve found. I considered buzzing off the points by about .2-.3mm and there would be 2 modified Tugelas out there. A stronger spring would be nice. Still would love the red/black and the blue/black nylon straps, and I tearfully lament their unavailability. Considering the uniqueness and relative rarity of your pieces, along with the unusual but still contemoprary styling, Draken appears to be a name for the ages. PS. We are still in business and I’m going to try to send you a couple of juice powder samples when available. Won’t namedrop here. Good to hear from you Jerry. The Kalahari dial color we are calling sand. The Kalahari is a little bigger than the Tugela. It has great wrist presence. You are right about the edges if the Tugela bezel. Another customer also filed them down because they were too sharp. This is something we will address in the next iteration. Keen to try some of that juice! The Kalahari looks great. This will be my first Kickstarter watch I think. Thanks Mark! Looking forward to having you onboard! The Kalahari in Kalahari colours looks great. 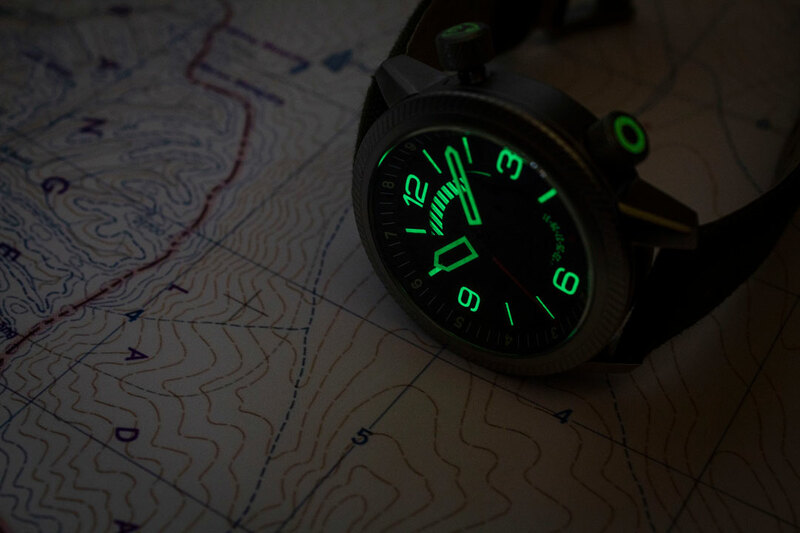 This will be my first Kickstarter watch. Will there be any Paypal purchase options for the Kalhari at the KS price? Because of the eternal Amazon v Paypal war, Kickstarter does not accept Paypal. You will be able to pre-order the Kalahari from our website after the Kickstarter ends if you prefer to use Paypal. Hi Mike – Looking forward to The Kalahari KS launch, loving the the sand dial, black case. Is the case PVD or DLC coated? Many thanks, and much success. I fell in love with The Kalahari at the first sight, and when I was notified via email that there’ll be another 48 hours to launch KS, I barely can’t wait! This will be my first KS watch and definitely will order one. Thanks for supporting us Kevin. 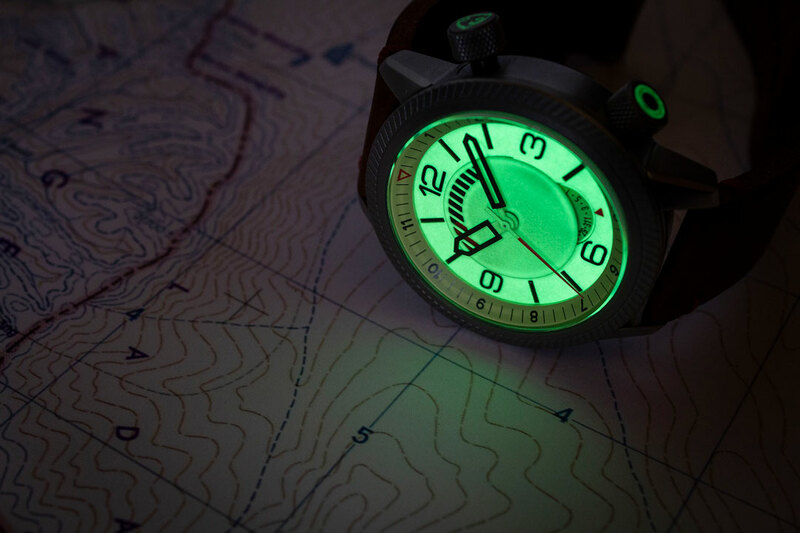 This is our third Kickstarter launch and by far our most ambitious watch to date. You are in for a treat! Cheers Clive. Thanks for the support.